It was an early start for some of our team yesterday morning, even earlier than the theatre team who are usually the first to arrive. 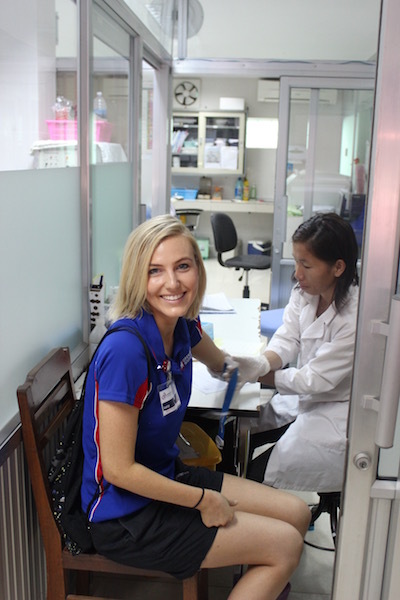 During the screening process on Sunday, Fiona Hyde, our wonderful Project Coordinator was asked by Angkor Hospital for Children if the team would consider donating blood. They explained that they did not have enough blood type to match the second surgery planned on our operating list. At dinner Fiona asked the team if anyone would like to donate some blood over the course of the week so that other patients could have surgery. 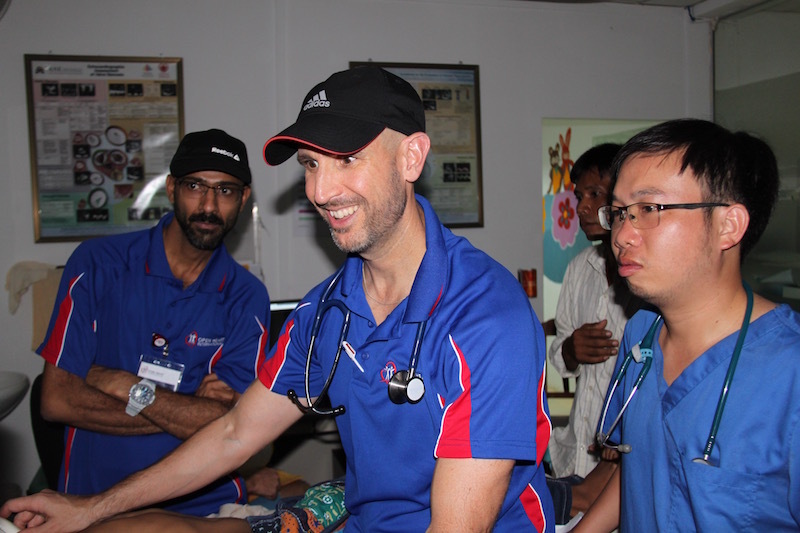 A number of the team put their hands up and we were then asked to go to the Hospital’s laboratory when we had some spare time. 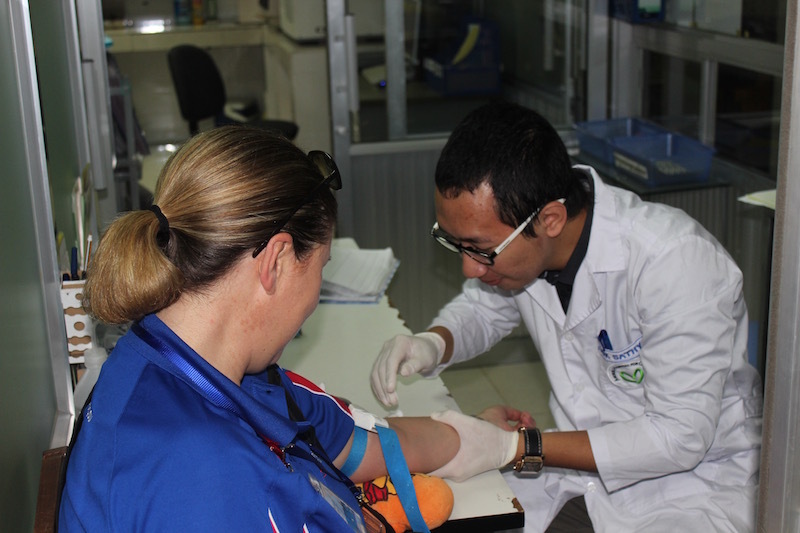 Knowing the impact of not having enough blood on hand, two team members walked over at 7am and then it seemed to be a “tag team” through the laboratory after that. The screening process stated at 2pm on Sunday which involved a large number of team members, and will continue throughout the week. There were lines and lines of families hoping that their child would be selected for surgery. 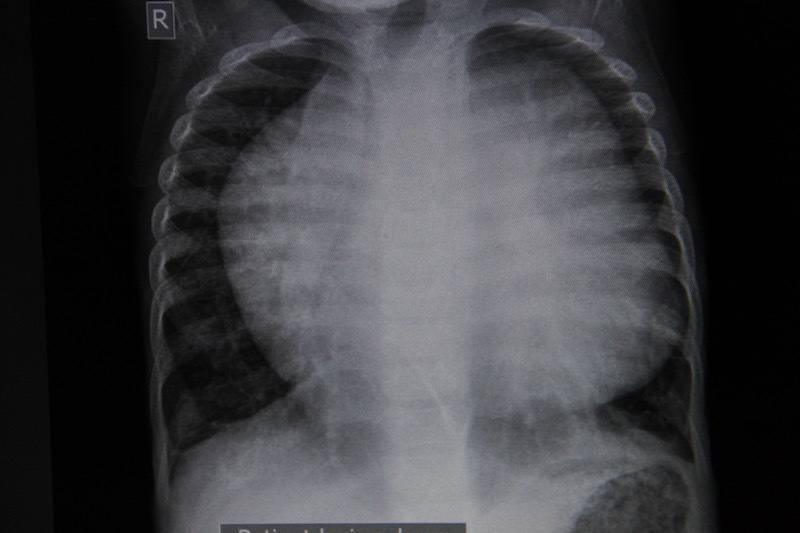 There was even a little girl whose heart took up a whole X-ray chart, there was no more room in her chest for her heart to grow. This is typical of an “overworked” heart that is trying to cope and compensate for its defective nature. Eventually, case after case was reviewed and discussed in detail. After a long deliberation the surgery list was finalised. 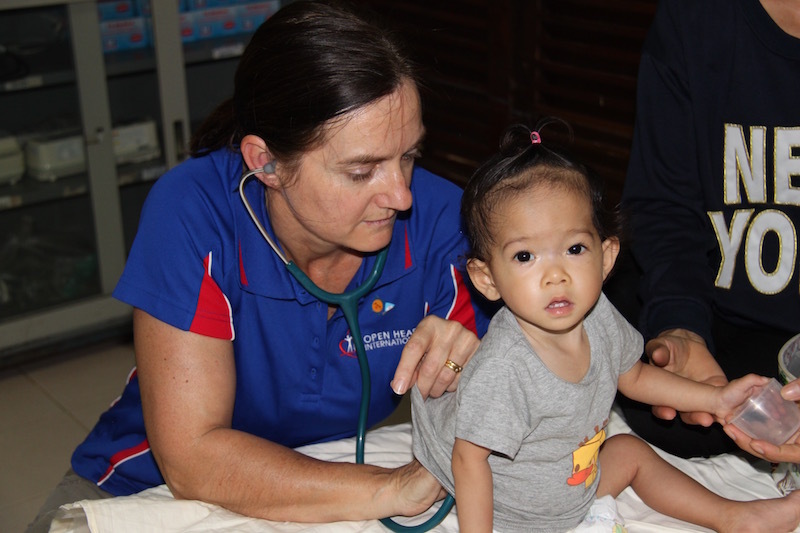 A little girl with an Atrial Septal Defect (ASD) is the first child to be operated on.